Iran’s President Hassan Rohani has warned that water shortages, unemployment, inflation, and problems like drug addiction are threatening the Islamic republic. 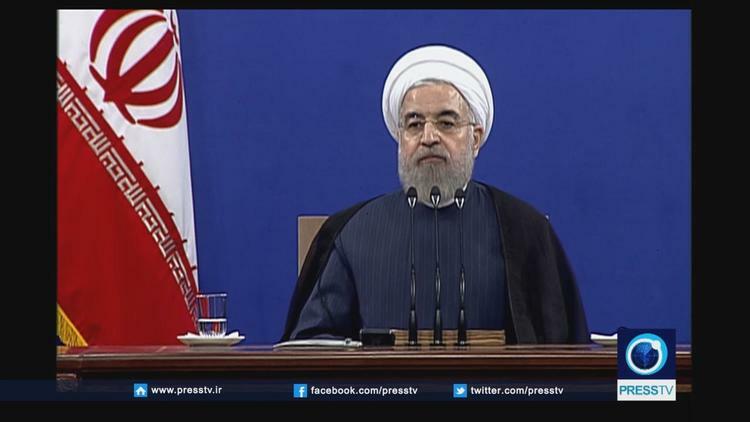 Rohani made the remarks in a September 15 speech to commanders of Iran’s Islamic Revolutionary Guards Corps (IRGC). According to some estimates, more than 5 million in Iran – a country with a population of 80 million — have drug-related problems. Rohani called on Iran’s armed forces to help the government overcome the problems the country faces. Meanwhile, on foreign policy issues, the Iranian president described the nuclear accord struck with six world powers as a “win-win agreement” that is beneficial to the whole world. Under the agreement, Iran has agreed to significantly limit its nuclear program in exchange for sanctions relief. Rohani said the “victory” was reached by “us all together” with guidance from Iran’s Supreme Leader Ali Khamenei. However, he said it was “naïve” to think hostilities towards Iran will end. Rohani told the gathering that only “legitimate power” based on the law and people’s demands will bring the Iranian establishment more stability. He said the country’s armed forces should work within the framework of Iran’s Islamic revolution, Islam, and people’s demands. He said armed forces that stand with the people will be “immortal” and defeat any enemy. Iran’s powerful IRGC and the Basij force have been accused of being used as tools of state repression.